Four Oche lines (7'6", 7'9", 8'0", 8'6"), printed in-situ during manufacture. 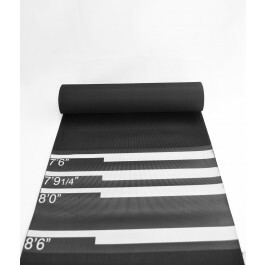 The Polymax Arrow Dart Rubber Mat with printed Oche lines has a non-slip top ribbed surface and a high grip cloth effect rubber bottom surface. Perfect in any dart playing establishment and gives an overall professional aesthetic finish. The dart mat floor covering is durable, anti-slip, economical and easy to keep clean. 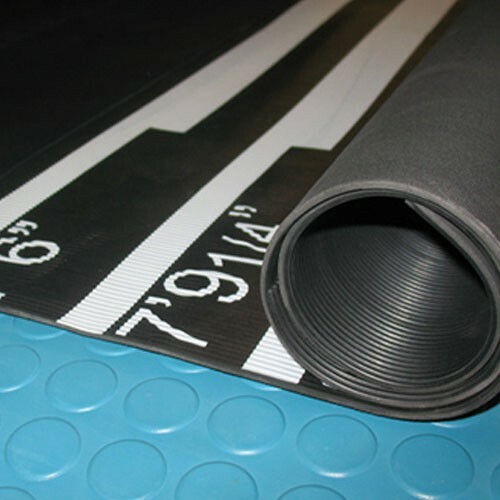 The Oche Lines are printed on throughout manufacture and therefor will not fade over time like other mats. Very popular and distributed widely throughout the UK and Europe.